One of Genesis's early masterworks will be brought back to life on stage this year by one of the men who helped create it. 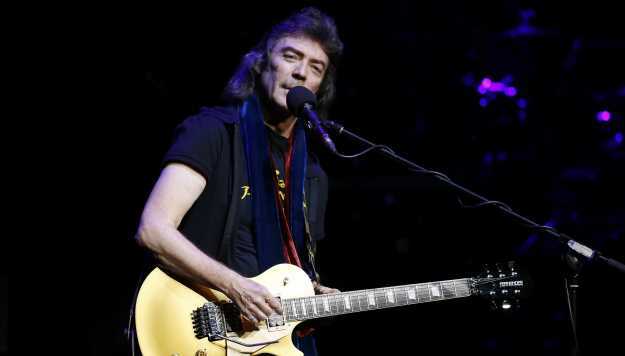 Former Genesis guitarist Steve Hackett is taking his Rock and Roll Hall of Fame band's 1973 album, Selling England by the Pound, back on the road this year with a tour of the U.K. and the U.S.
Hackett's latest solo album, At the Edge of Light, was released on Friday. But the guitarist has never been one to give fans less. Despite a massive catalog including 25 solo albums, Hackett has long been the sole member of Genesis' classic lineup - which includes Peter Gabriel, Tony Banks, Mike Rutherford and Phil Collins - who still incorporates the band's early work into his live shows. Two years ago, Hackett performed Genesis' 1976 album Wind & Wuthering in its entirety on tour. This year, Selling England by the Pound will get the same treatment. As if all that wasn't enough, Hackett says he also plans to celebrate the 40th anniversary of his, Spectral Mornings, solo album on the tour.